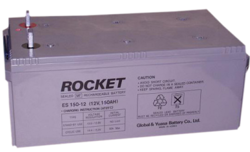 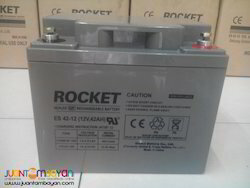 Manufacturer of a wide range of products which include rocket 12v 26ah battery, rocket 12v 42ah battery, rocket 12v 65ah battery, rocket 12v 100ah battery and rocket 12v 150ah battery. 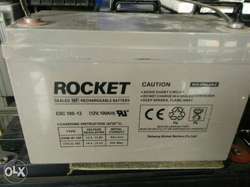 Rocket''s Superior Gas recombination technology ensures that more than 90% of the electrolyte is reused resulting into very low water loss and confirms its maintenance free operation. 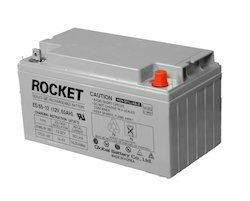 ES Series Designed for Float Life of 4-6 years at an ambient Temperature of 20°C / 68°F. 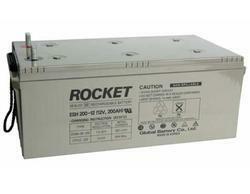 ESC Series Designed for float life of 7-10 years at an ambient temperature of 20°C / 68°F.